A multi-purpose venue located on the Dublin City University campus in Dublin. 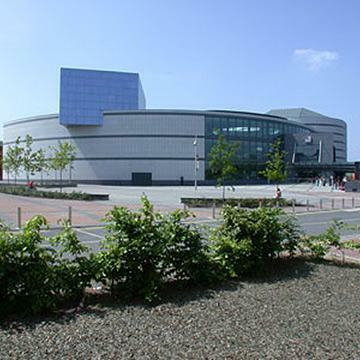 An impressive venue, with a capacity to seat up to 1,250 delegates in concert hall style or 1,050 delegates Theatre style. The Mahony Hall has been designed with delegates comfort in mind. An intimate venue with a capacity for up to 450 delegates. It features a full proscenium arch stage, orchestra pit and large stage area. A full black box venue with seating in a round format. The Space is a popular choice for breakout sessions, workshops, VIP area.